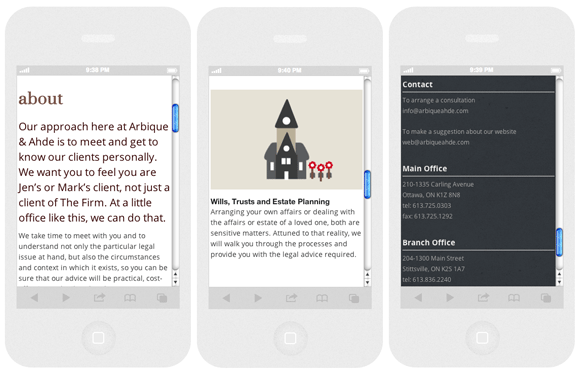 Arbique & Ahde is a law firm that specializes in real estate law, corporate law, and wills and estates. 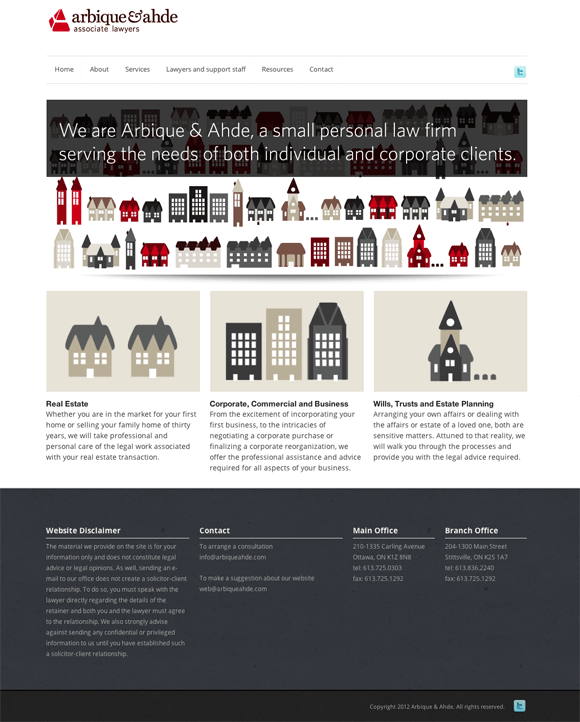 Upon the leaving of one partner from Fortey & Arbique, Jennifer Ahde joined Mark Arbique to form a new firm. 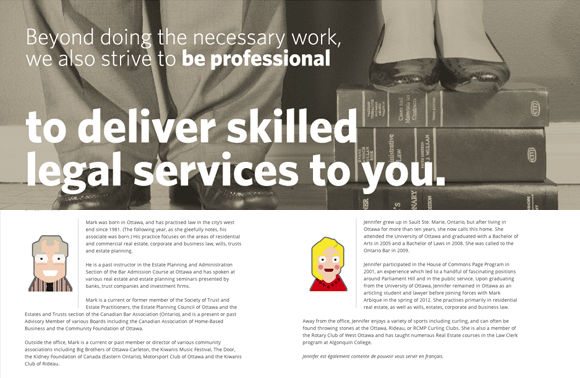 The two lawyers approached me to create a visual identity that captures both the seriousness of their profession and the humour and lightness of their combined personalities. To do so, I designed an identity that has a no-nonsense logo that contrasts with the website’s playful animations and illustrations. Creative Commons License CC BY-NC-ND 2.5 CA (Attribution-NonCommercial-NoDerivs). Designed by Steve Jankowski in 2014.